This week’s series of Photos in London features giant Christmas decorations after a disappointing attempt at shopping in the Boxing Day sales. That’s right, I attempted to shop in the sales – never again. Arriving midday was a bad idea as the shops were packed and the queues were unbelievable. After visiting about five shops I gave up and began wandering. Here is what I saw on my travels. 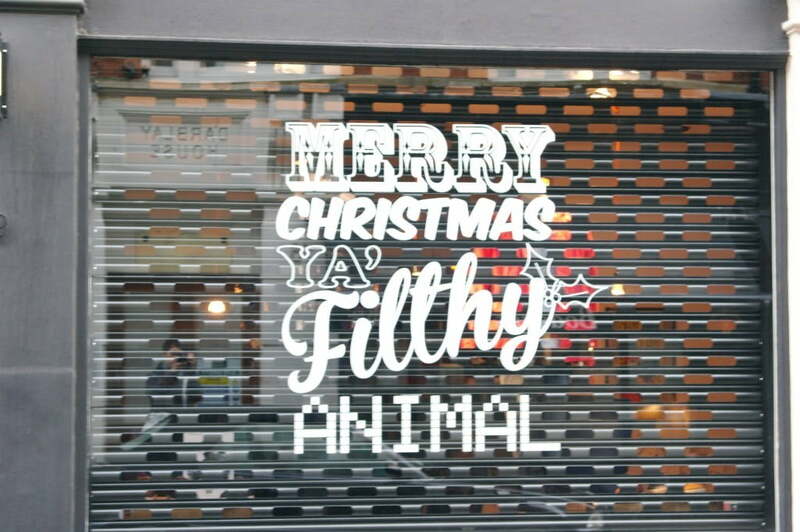 A quote made famous by Home Alone 2, this was the shop window of Weekend Offender. It’s also what my Christmas jumper says! Another store window, this is a soul jazz record shop in London called Sounds of the Universe. 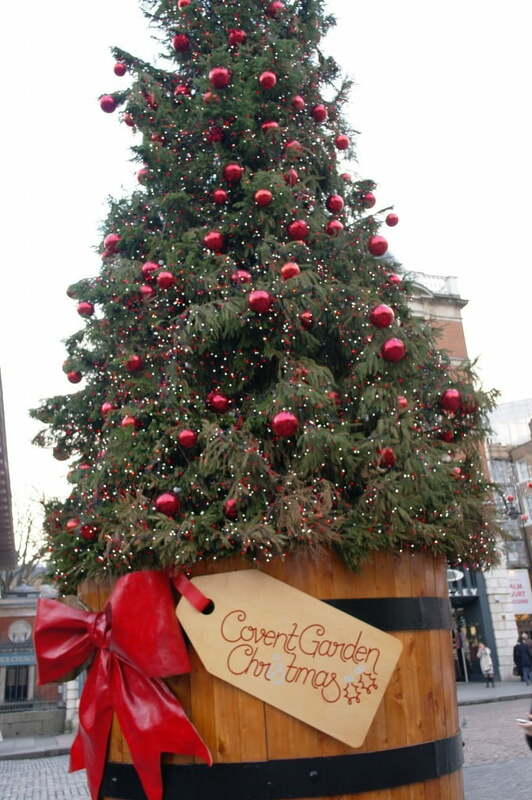 I returned to Covent Garden but the giant reindeer had gone! 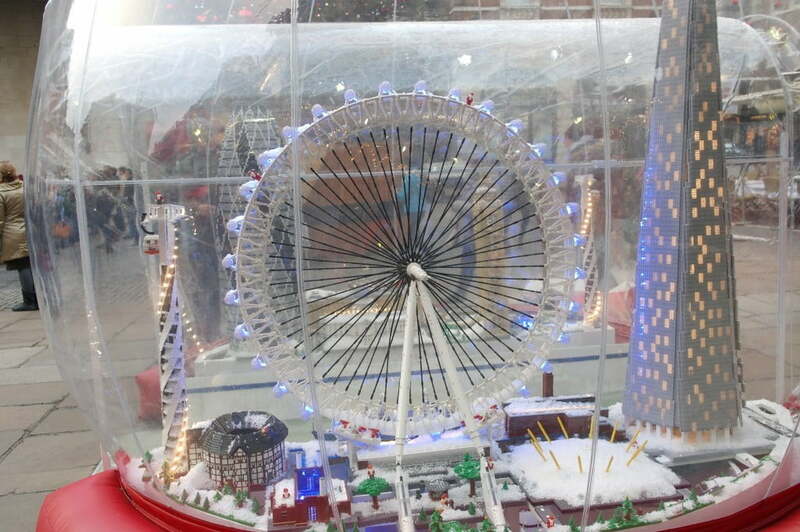 Instead I took some pictures of the giant Christmas tree with giant label and ribbon, the Apple Market complete with giant Christmas Baubles and a giant snowglobe with a miniature London made from Lego! 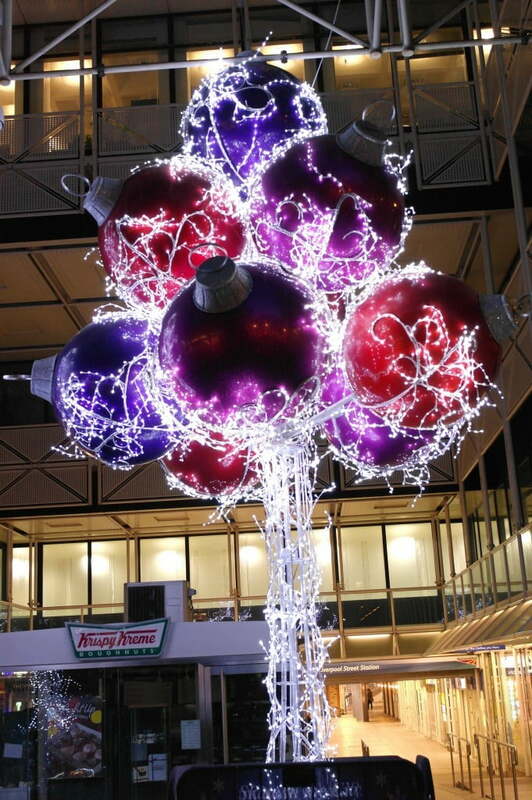 Walking past Liverpool Street Station, I saw more giant baubles! To me, it looks like electricity is shooting up through them. 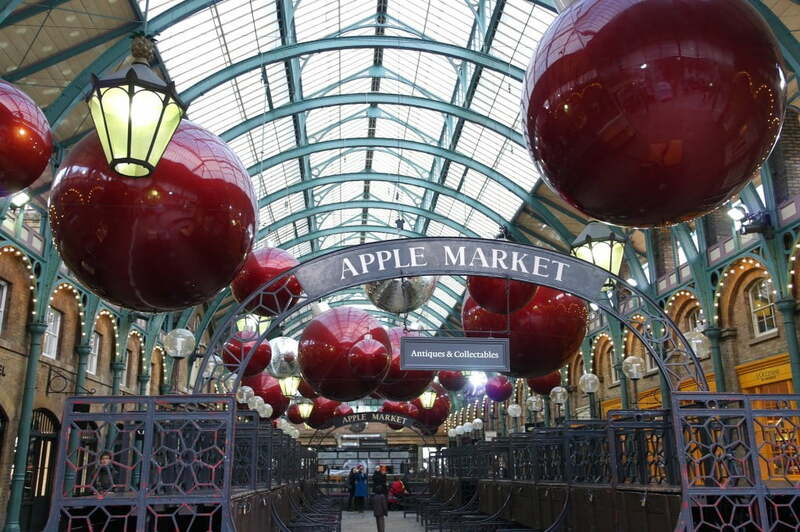 Lastly, I went to Spitalfields Market, but it was shut! Passing the shop windows, I saw this glowing sign at the back of a dark shop. 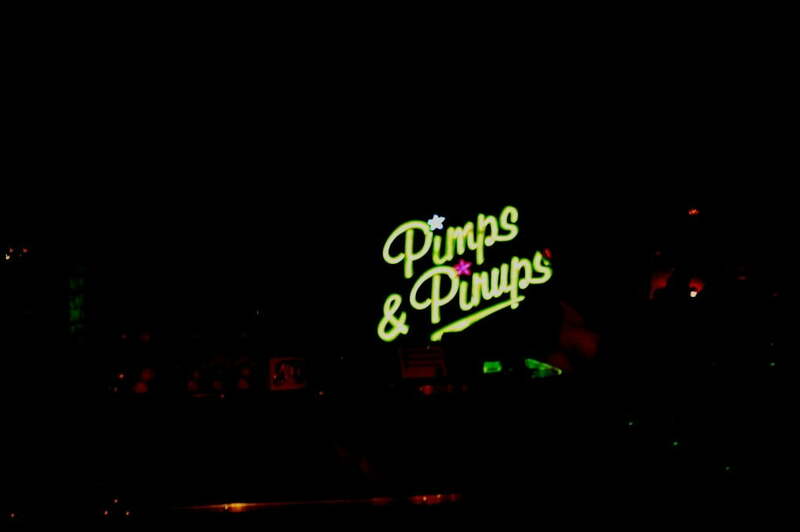 Pimps & Pinups turns out to be a boutique hairdressing salon. 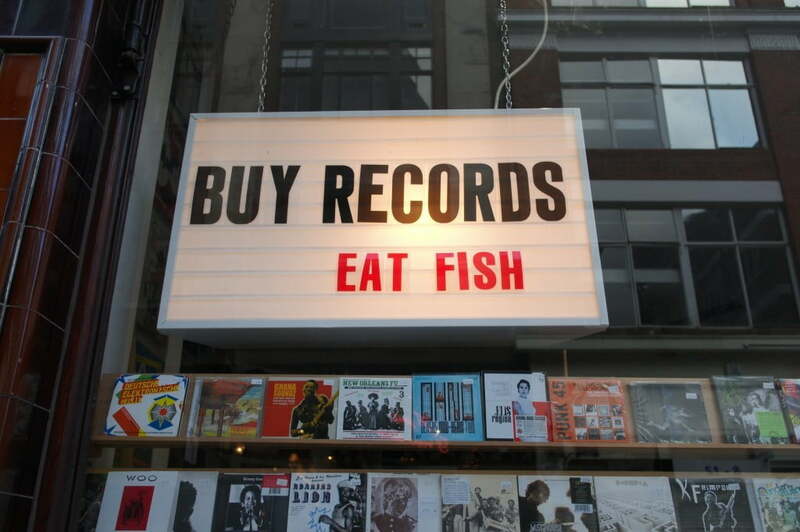 Have you seen any cool signs in London recently? Tell me in the comments section below! « Is The Leather Satchel The Best Smart Man Bag Around?